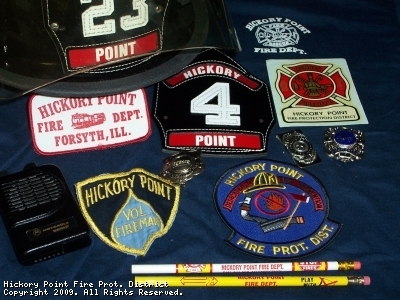 The Hickory Point Fire Protection District (HPFPD) is a professional organization devoted to conserving life and property. We are dedicated to fire prevention by striving to provide the highest level of community education and service, firefighter training, and fire suppression techniques to the district residents, neighboring communities, and visitors. In addition to these key functions, HPFPD provides emergency medical services, technical rescue, and hazardous materials response. Congratulations to Josh Trendler on his appointment as the new Fire Chief for the district. Other new appointments are Mark Ortmann, Captain, and Jeremy Clark and Ryan Scott, Lieutenants. All other officers were appointed to their previous positions in the fire department. Hickory Point Fire Protection District has been in operation for 62 years. Within the ending of 2017, the District responded to 589 calls for service; the highest number since 1955.. Thank you to all of the fire department members for their response and service. Hickory Point Firefighters want to thank Firefighter/EMT Kari Hastings for her professional service to the fire district. She is moving back to eastern Illinois. To join as a volunteer firefighter, you can pick up an application at the fire station between 9 and 4:30 p.m. on weekdays. Fourteen is the minimum age for a Cadet member and eighteen for volunteers. Consideration is given to those who live within the original fire district boundaries beginning at Pershing Road on the south. The FOIA Officer is Dennis Downey. 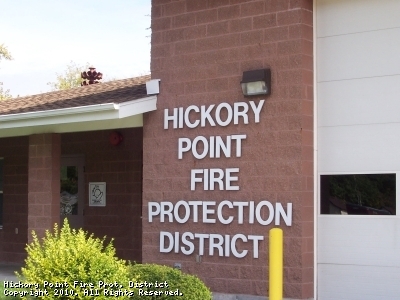 FOIA and Insurance reports requests can be made to Hickory Point Fire Prot. District at P.O. Box 88, Forsyth, Illinois - 62535. Insurance requests have a fee of $2.00. Our non-emergency number is 1-217-8771398. The fax is1-217-8771308. This site has been viewed 146,291 times.